Here in the ever propagating city of Conglomeration, Texas the "feels like" temperature is 257 ° F and the humidity is approximately what it will be here when climate change makes the Gulf of Mexico deluge the state. As a result only the most hard bitten patriots will dare to venture out to the fireworks tonight. Many will sacrifice their lives to do so, bursting stoically into flame (but being instantly put out by the humidity) as they salute the country. My little family and I used to risk our lives in this way in order to teach our children that freedom isn't free and that America has some darn good patriotic songs. Fortunately we were saved at least once by a tumultuous rainstorm that lowered our body heat just below ignition temperature for spontaneous human combustion. Nowadays though, being older, "wiser," and having taught the kids all the lessons we've got, we opt -- as we do for almost everything else -- to live vicariously by way of the Internet. Sitting in our comfortable chairs (several of which we bought on the Internet), cool, pre-conditioned air swirling gently about our heads, we plan to watch real, live fireworks streaming electronically into our home from somewhere. Hopefully it's cooler there. "There" being Orlando, Florida -- so probably not. If you would like to share this experience Disney World will be livestreaming their famous fireworks show tonight for free! Please note: If you are reading this too much into the future I can't guarantee anything. 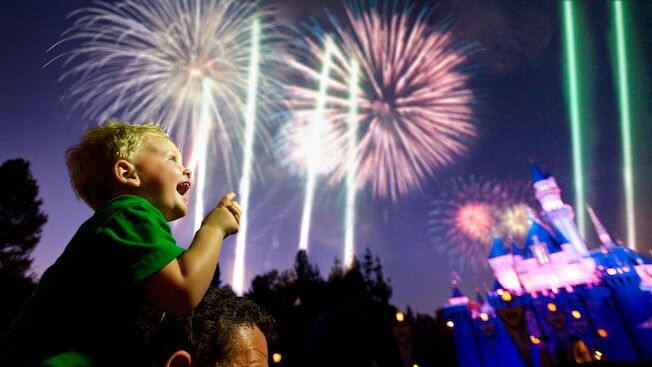 Join us minutes before the fireworks start at 9:00 p.m. ET to learn more about nighttime spectaculars at Walt Disney World Resort. How can you catch the live stream? 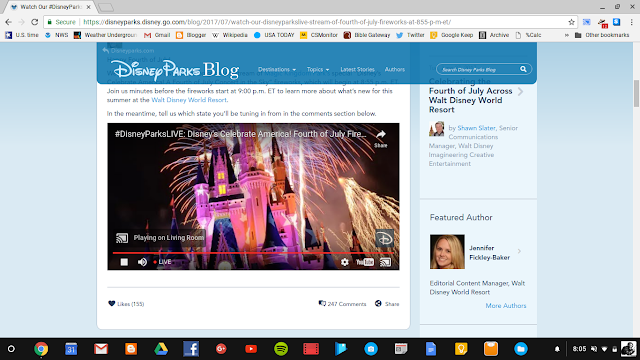 Visit the Disney Parks Blog on July 4 and a fresh blog post containing the live stream feed will be ready and waiting at the top. So we'll be at https://disneyparks.disney.go.com/blog/ just before 8:00 PM Texas time tonight, corn dogs and ice cream at the ready, chromecasting the extravaganza onto our giant TV and reveling in nice, comfortable patriotism. And if this doesn't work, I'll be right back here posting a grumpy blog post, as is my right. Click Here (unless it's over)! You definitely put a new spin on a topic that's been written about for many years.